Piotr Bogdanowicz ist Assistenzprofessor an der Fakultät für Recht und Verwaltung der Universität Warschau. On 11 April Advocate General Tanchev issued his long-awaited opinion in Case C-619/18 Commission v Poland concerning Polish measures (i) lowering the retirement age of the judges of the Supreme Court appointed to that court before 3 April 2018 and (ii) granting the President of Poland discretion to extend the active mandate of Supreme Court judges upon reaching the lowered retirement age. As AG Tanchev aptly noted, this case presented the Court with the opportunity to rule, for the first time within the context of infringement proceedings under Article 258 TFEU, on the compatibility of certain measures taken by a Member State concerning the organisation of its judicial system with Article 19(1) TEU in connection with Article 47 of the Charter (para 2 of the opinion). The opinion was divided into four main parts: the admissibility of the action in connection with the law that was adopted by Poland in the meantime; the relationship between Article 258 TFEU and Article 7 TEU; the material scope of the second subparagraph of Article 19(1) TEU and Article 47 of the Charter and the Commission’s reliance on these combined provisions and the merits of the action. As regards the merits of the action, perhaps unsurprisingly, AG Tanchev proposed that the Court should declare that Poland failed to fulfil its obligations under the second subparagraph of Article 19(1) TEU to "provide remedies sufficient to ensure effective legal protection in the fields covered by Union law". I do agree with this conclusion. I do not share, however, the Advocate General’s view that the complaint of the Commission should be rejected as inadmissible as far as it is based on the fundamental right to an effective remedy and a fair trail under Article 47 of the Charter. Before I elaborate on it, I will briefly comment on the admissibility of the action and the relationship between Article 258 TFEU and Article 7 TEU. Concerning the admissibility, Poland held in the proceedings that that the case is devoid of purpose and should be withdrawn because all of the provisions challenged have been repealed, and their effects eliminated by the Act amending the Supreme Court Act of 21 November. The amendment reinstated the previous retirement age for judges who performed their duties prior to the entry into force of the Supreme Court Act (i.e. 70 years of age). Consequently, Supreme Court judges who retired in accordance with the Supreme Court Act were reinstated to perform his or her function on the position previously held on the day of the adoption of the Supreme Court Act. AG Tanchev recalled, however, settled case law of the Court pursuant to which the violation of EU law by a Member State is assessed based on the legal status as at the lapse of the time limit specified for this Member State by the Commission in a reasoned opinion (para 44 of the opinion). In this case, the time limit lapsed on 14 September 2018, whilst the amendment entered into force on 1 January 2019. Secondly, AG Tanchev noted – also in line with the Court’s case law – that the Commission may have an interest in bringing an action under Article 258 TFEU even when the alleged infringement is remedied after the said lapse of the time (para 45 of the opinion). The object of the case may consist, for instance, in establishing the basis of the liability that Member State could incur towards those who acquire rights as a result of its default. To translate this into the case at hand: the decision of the Court can matter to judges who intend to seek compensation for the conduct of authorities in respect of their retirement. In fact, one may even find more arguments against the withdrawal of the Commission’s action. As regards the relationship between Article 258 TFEU and Article 7 TEU, the opinion seems to finally cut the discussion whether the Commission can bring an infringement action under Article 258 TFEU when the Article 7(1) TEU mechanism has already been triggered (here: against Poland). Yes, it could. AG Tanchev aptly referred to such arguments as wording of each provision which does not rule the other, different scheme and purpose of both procedures ("political" procedure enshrined in Article 7 TEU and "legal" action under 258 TFEU), as well as the nature thereof (para 51 of the opinion). As mentioned above, I do not follow the argumentation of AG Tanchev concerning the scope of application of the second subparagraph of Article 19(1) TEU and Article 47 of the Charter. In this regard, the Advocate General agreed with Poland that a separate assessment of the material scope of both provisions was required. He pointed out that the ASJP case further supported his view – although the request for a preliminary ruling in that case concerned the interpretation of the second subparagraph of Article 19(1) TEU and Article 47 of the Charter, the Court’s judgment rested on the former provision. That does not mean, however, that the Court held in the ASJP case that Article 47 of the Charter could not apply. The Court often (too often?) reformulates questions received from the national courts. In the ASJP case it did the same and narrowed the interpretation of EU law to the second subparagraph of Article 19 TEU (para 27 of the judgment: "By its question, the referring court seeks, in essence, to ascertain whether the second subparagraph of Article 19(1) TEU must be interpreted as…"). Nonetheless, it did not forget about Article 47 of the Charter. In the ASJP case the Court held that as far as national courts may rule on questions concerning the application or interpretation of EU law, the Member States must ensure that they meet the requirements essential to effective judicial protection, in accordance with the second subparagraph of Article 19(1) TEU (para 40 of the judgment). Then the Court added that in order for that protection to be ensured, maintaining such a court or tribunal’s independence is essential, "as confirmed by the second subparagraph of Article 47 of the Charter". In my view, this should be read as the Court’s opening – through the second subparagraph of Article 19(1) TEU – of the possibility to apply Article 47 of the Charter and combine the standards required by these two provisions. Finally, as regards merits of the action, three issues that appeared in the opinion seem to be particularly interesting. Firstly, the Advocate General recalled the oft-quoted aphorism: "Not only must Justice be done; it must also be seen to be done" (brought into common parlance by the R v Sussex Justices case – a leading English case on the impartiality of judges from 1924). This is in line with the recent case law, suffice to mention the LM case (para 66: "guarantees of independence and impartiality require rules […] in order to dispel any reasonable doubt in the minds of individuals as to the imperviousness of that body to external factors and its neutrality with respect to the interests before it") or the FV case before the General Court (para 75: "it is not only essential that judges are independent and impartial, but also that the procedure for their appointment appears to be so", all the emphases added). It is only a pity that the Advocate General did not go further and thus did not point out how this translates into situation in Poland. Secondly, it is worth noting that the Advocate General put a lot of effort into distinguishing the circumstances of the case from those which gave rise to the Court’s judgment in ASJP. All in all, it must be recalled that in the ASJP case the Court did not consider national provisions as infringing the second subparagraph of Article 19(1) TEU (para 74-82). In this regard, I do agree with the Advocate General’s opinion that it does not follow from the ASJP case that provisions applicable to judges related to general policies at the national level are not contrary to the principle of judicial independence, but rather that the Court’s assessment depends on the circumstances of the case. Thirdly, the Advocate General’s response to Poland’s arguments based on the laws of the other Member States and the Court itself is noteworthy. He aptly held that the regimes of other Member States are not comparable to the situation in Poland, as they operate in a different legal, political and social context, and in any event, this has no bearing on Poland’s failure to fulfil its obligations. Also, the Court is situated at the supranational level entailing a different regime than the classic tripartite separation of powers in the Member States. Needless to say, there was no question of alteration to rules on the retirement age of judges in this Court. 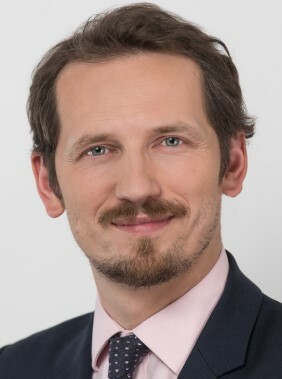 SUGGESTED CITATION Bogdanowicz, Piotr: Three Steps Ahead, One Step Aside: The AG’s Opinion in the Commission v. Poland Case, VerfBlog, 2019/4/11, https://verfassungsblog.de/three-steps-ahead-one-step-aside-the-ags-opinion-in-the-commission-v-poland-case/. There was not question about alteration to rules on the retirement age of judges in this Court, yet judges of the Tribunal are appointed by national executives for 6. years tenure and the tenure could be renewed. Decision as to nominate the same person again is a political decision. If competence of Polish president as to grant permission for a 65. years old judge to stay at his post until 70 is a threat to independence because the judge might deliver decisions so as to please the President, are the judges of the CJEU (those who want to stay at the post for more than one tenure) independent from national executives? Decision concerning judge of the CJEU is more important for his career than the decision concering retiring Supreme Court judge. But OK "the Court is situated at the supranational level entailing a different regime than the classic tripartite separation of powers" thats why its judges could have more connections with national executives, that sounds totally legit.